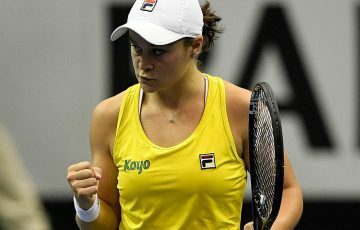 Marin Cilic (CRO), Milos Raonic (CAN), Grigor Dimitrov (BUL) and Garbine Muguruza (ESP) will join the world’s best tennis players in Brisbane this summer. The star quartet will join defending champions Roger Federer (SUI) and Maria Sharapova (RUS), rising star Kei Nishikori (JPN) and hometown hero Sam Stosur (Qld) in the world class field set to battle it out at Brisbane International 2016 presented by Suncorp. The event now boasts eight top 30 ranked players, including four Grand Slam champions with a shared 24 major titles. 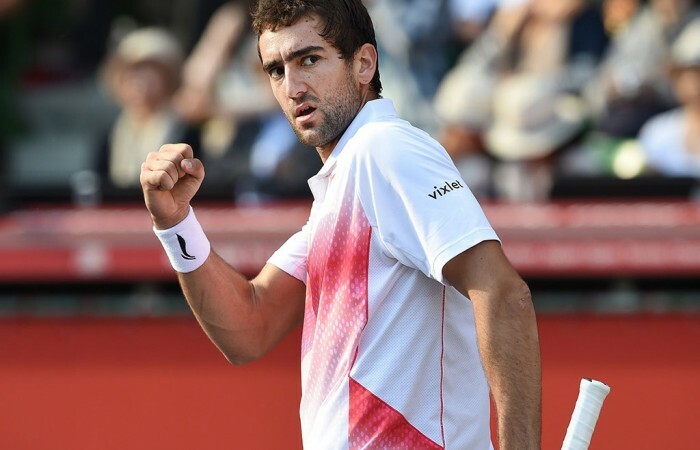 US Open 2014 champion Marin Cilic, a semi-finalist at Flushing Meadows in 2015, will enter the new year determined to build on his late-season momentum. “I’m expecting from myself to get into the new season with a lot of motivation to keep on building from this year,” he said. “I had a bit of a break in the beginning of 2015, I had a bit of a shoulder injury so I got into the season pretty late, somewhere in mid-April and… I’m still feeling really, really fresh for the end of the season and I feel that’s going to help me. In Cilic’s path will be 2015 runner-up and world No.9 Milos Raonic. The big-serving Canadian will return to Brisbane looking to avenge his loss to Federer in this year’s decider, handing the Swiss master his 1000th career match win. “I’m really looking forward to playing in Brisbane again next year, I had a great tournament there in January and hopefully I can start the new season the same way,” Raonic said. Another former finalist, world No. 22 Grigor Dimitrov, will also commence his 2016 campaign in the Sunshine State. 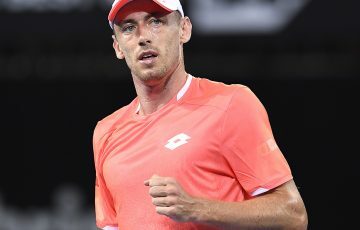 The Bulgarian will return for his fourth consecutive appearance at Queensland Tennis Centre, looking to better his runner-up finish to Andy Murray (GBR) in 2013. 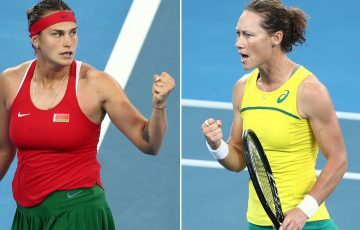 The women’s draw will be supercharged by young gun Garbine Muguruza, who has rocketed to world No.4 on the back of a breakout season and could move higher still at this month’s WTA Finals in Singapore. 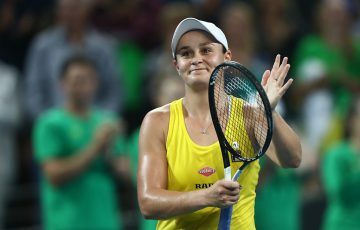 The 22-year-old made a stunning run to the Wimbledon final in July and last week collected her second WTA title at the China Open in Beijing. Despite her run of form Muguruza will travel to Brisbane intent on taking the new season one match at a time. “Wimbledon was amazing but I don’t want to have a lot of expectations for 2016,” she said. “I want to keep the same, improving and thinking about every tournament and every match, because this is when I [will] improve and be better, just no expectations and be calm. With less than 100 days to go until the first ball of Brisbane International 2016 is served, Tournament Director Cameron Pearson said the event was set to deliver a blockbuster week of on-court action. “I’m thrilled to announce four more of the world’s top players coming to Brisbane in 2016,” Pearson said. “Marin is the fourth Grand Slam champion to join the field, Milos is our defending finalist, Grigor had a great run to the semi-finals this year and Garbine has had a breakthrough season on the women’s tour. “The field we’re assembling is certainly world class and it’s exciting to have the world’s best tennis players coming to compete in our backyard. The Queensland Government, through Tourism and Events Queensland, is proud to support Brisbane International 2016 as part of the It’s Live! in Queensland events calendar, highlighting Australia’s best events in spectacular destinations. Brisbane International 2016, presented by Suncorp and supported by Tourism and Events Queensland, will be held at Queensland Tennis Centre from 3 to 10 January. The tournament is part of the Emirates Australian Open Series, which also incorporates Hopman Cup (Perth), Apia International Sydney, Hobart International and World Tennis Challenge (Adelaide).